Fun fact: Starred in the Broadway play "A Runaway Colt"
The first player to reach 3,000 hits and the second manager to win 1,000 games, Anson was one of the game's first superstars. He is the Cubs' all-time leader in hits (3,012), doubles (529) and runs batted in (1,880). 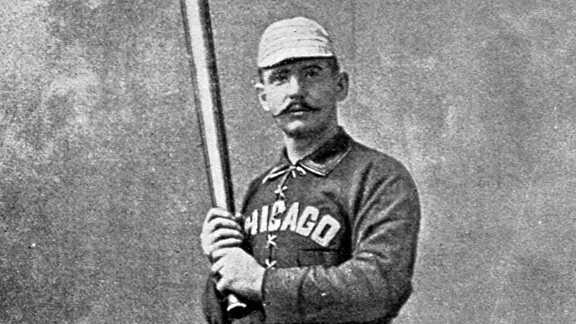 Anson played in the majors for 27 seasons, his last coming in 1897 at age 45.